Tegra 4 is slated to hit devices later in the year, but NVIDIA has a reference tablet with the mobile chipset platform at MWC, so we took it for a spin, trying out a few of the games that come preloaded on it. As NVIDIA announced, there are currently 5 titles optimized for the powerful silicon from the ground up - Burn Zombie Burn, Carie: Blood Mansion, CODEX: The Warrior, Dead on Arrival 2, and RU Golf. We got some hands-on time with Vampire Hunter and DOA 2 on the Tegra 4 reference gear, showing the pretty graphics that await us when it hits devices later on, so check out the demo below for a rough idea about NVIDIA's newest mobile offspring. Looks nice but, I don't want to wait for it. By the time it comes out I would do better waiting on next years processors. And by the time next year's processors came out, you'd be better off waiting for the year after that! And by the time that year's processors came out, you'd be better off waiting for the year after that! Waste! i cant buy a new tegra to play 4 games a YEAR! and all the other awesome game like most of the gameloft games are still not optimized for their older chipset and NFS run like crap on their chipset Cough* TEGRA 3 cough*...whats the use to buy a high end phone which cant play other android games rather than the THD Version... better by some all round Chipset and hackup and get all the effects as well the other android games too,,,^^ .. Shared by my expierence of my one x..
Tegra4 should've been out by now...why so delay??? Some people need to understand that Tegra 4 is a different story to Tegra 2 & 3. They was terrible chips I agree but Nvidia finally realized it. 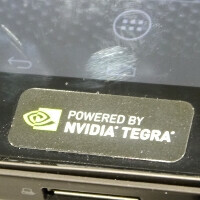 Tegra 4 has a GPU better than iPad 4 (A6X), which your gonna see on 'smartphones'. The Exynos isn't going to better, its CPU is pretty much the same in 'High Performance' just with 4xA7 and 1xLow Power Companion Core A15. The GPU part if true is the SGX544MP3 which is between the A6X and Exynos Dual GPU performance. So Tegra 4 beats that, unless its the Mali T678 GPU, we'll see! Snapdragon 800 already told that it's GPU is 50% faster than its Adreno 320 which makes it equal to Tegra 4 if you GLBenchmark. I am being a bit bias towards Nvidia, as I love how they work with developers to make the game quality better even though its unfair to the other chips but, c'mon? Only Nvidia is pushing Android developers to develop more 'High Quality' games, other chips are just aiming for 'Higher Benchmark Scores'. I do however like how Snapdragon integrates all its modem etc, which saves power. But we'll see in the future! Mali T604 was mean't to be 5x faster than Mali 400MP4, but it only doubles it by a little. It marketing, but Tegra 4 has shown evidence that its a capable SoC. Actually I take my performance back from the SGX544MP3. iPhone 5 A6 gets around 3000 on GLBenchmark at 266Mhz, whereas the Exynos one is at 533Mhz which is double, which in theory should be the same performance as the iPad 4 & Tegra 4. Although double the clock doesn't always translate into double the speed.